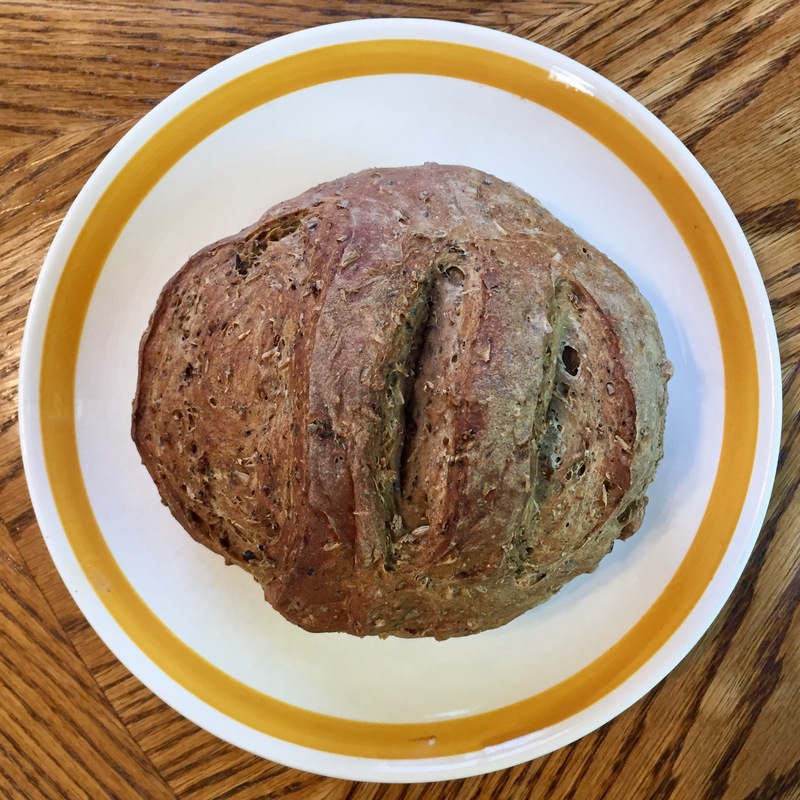 today i baked my first loaf of sourdough in a year! when we moved last year, my starter got lost in translation. andrew caught a yeast last week and i took over. this is a loaf of spent grain sourdough made with the leftover grains from a milk stout we brewed months ago. i froze the grains – the specialty chocolate malt is that worth it to save. 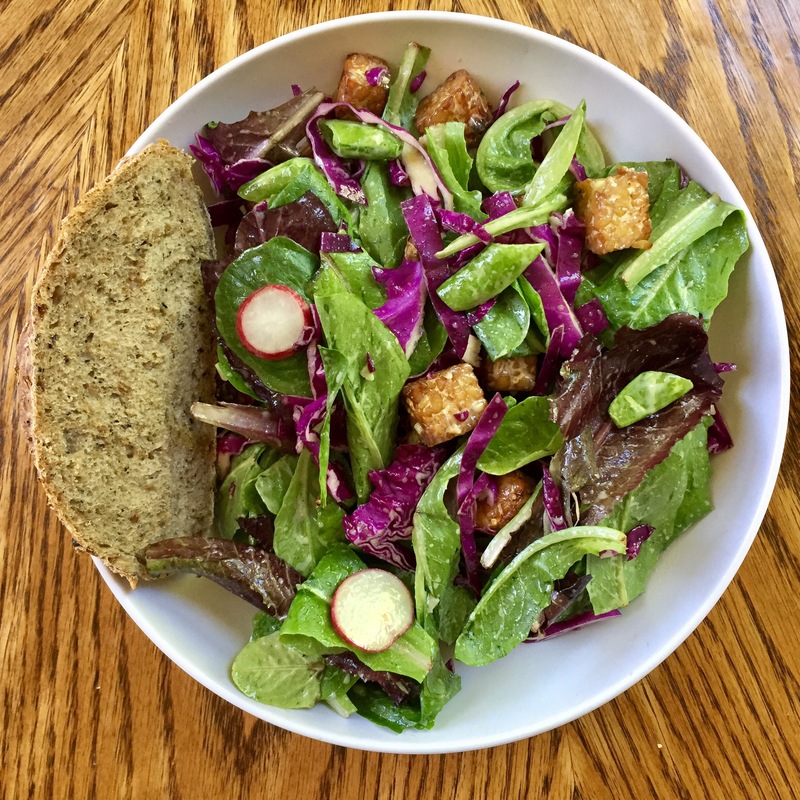 a slice with my sunday salad – romaine, red cabbage, snap peas, radishes, baked tempeh, and a honey mustard dressing.